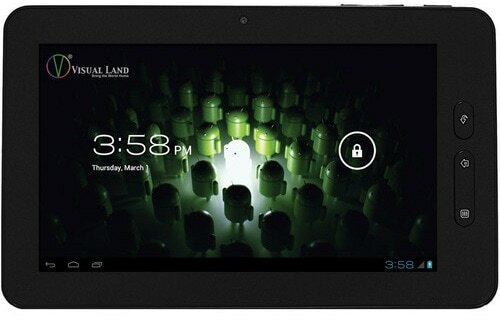 This is an otherwise unremarkable Android tablet which can be had relatively cheap at Walmart. It has a funky button layout, generally mid-range performance, and it doesn't ship with Android Market. I can fix the last part, at least. A while back I found a set of simple and straightforward instructions for installing Android Market. They don't work on all tablets but they do work here. This hack won't let you update to Google Play and it's missing the latest new sections (including music and video) but it will let you buy and install apps. It is far better than nothing. Here's how you do it. I’m hoping someone may be able to help here trying to install google app store on my impression i10 tablet using the method you describe on this blog in various post but not having any luck I get a parse error message om all my files is there something else I might try it’s a nice enough tablet being it’s only android 2.3 is that the problem ? to old a android? or is it just a bad fit any help would be great I did download to my tablet unziped files not ziped. I need help with adding google play on my visual land tablet. I have tried downloading what was given to me but there are so many folders to unzip I just dont know what to do. Patty, get it figured out? It worked! I was able to install it but when I open it, it only shows “loading” and then it shuts down. I followed all instructions and the Market is available. I’ve signed in with my gmail account and have access to view apps, however when I choose an app to download, I get an error indicating that it can’t be downloaded. Help please! My kids are driving me nuts with these tablets. verified. my wife owns one and it works on this. After I fallowed the directions the android app appeared . I tried to down load a book. The app “unfortunately stopped working every time. Why? tank,but it changed they layout of my homepage and other pages but still cool. Works, but have same issue as erick. How do I reset my Home button back to what it was before (vLauncher)? How do you uninstall the zipfile from the tablet? Fair warning. This trick is going to wipe out all of your home screen settings. i.e. you will have to completely recreate all of your screens and folders that you see when you swipe left and right. You will also have to add back all widgets and icons, and lastly you will have to reconfigure some minor things. If you use a Connect, it’s going to change the menu formats as well. Almost looks like the older Android OS version to me? Anyway, it worked and the Market is on the tablet. I’ve heard you CAN indeed upgrade to Google Play from this point, but have yet to search that out. Ahhh hell! Is it just me or can you not install widgets anymore?? If I long press the screen I used to get a prompt to add an app/icon or widget… Now it’s just wallpapers.. What gives? i have followed the steps and the store works fine. but how do i add google play money?? can i? Thank you for the instructions. I followed step by step and it worked for me. I am so much happier with my prestige 7 visual land tablet now that I can download apps. I got it downloaded but then when I try to download it, it tells me that it cant. any advice? That make no sense, can you download the file, or can’t you? Authentification required. Please log in with your google account. Retry. I am very confused because I have previously done this step already. What happens when you log in the second time? It repeatedly would do the same thing. I would click retry and would eventually come back to same prompt as stated before. It went through after many attempts though!!! The only thing I can think is that maybe it was a connection problem. I did noticed that it would not stay connected to the internet. It is working now though and I have one happy child in love with her tablet all over again and two who are jealous!!! Thank you!!!! Worked flawlessly for me. Totally changed the usefulness of the tablet. Thanks a TON!! I had to do a “factory reset” to my prestige 10 visual land tablet and then all i had to do is put the zip files onto my tablet from my computer. After that its working perfect right now!!! I’m so happy right now, so if you’re having problems try it my way. I followed all instruction and was able to get the Google Market on here, however it will not allow me to download anything, please advise if anyone has had this problem, and was able to get passed it. It just says “could not be downoladed due to an error. Worked perfectly!! I finally have GMail on this tablet and it’s showing up in the camera as well to send my photos. my visual land prestige 7 keeps popping up with unfortionally [ google search stopped working] how can I restore google? I downloaded the market fine, but when I hit download for the app, it just says starting download and then doesn’t do anything any suggestions? Do you mean you can’t download apps from Google Play? Turn the Wifi on and off, and then try the download again. If that doesn’t help, reboot the tablet. Alright, I installed all three of the .APKs in proper order on my Visual Land VL-107L, which i just factory reset. However, I may or may not have set my Google account and sync settings before installing them, I honestly can’t remember. Everything seemed to be working alright until I tried to actually install something. It’ll pull up the confirmation window, but here’s the thing. It lists none of the permissions, it simply says that the app requires no special permissions. I know this cannot be right because I’ve intalled this app and modified versions of it plenty of times, and it definety requires special priveleges. When I click accept, it’ll say “Starting Download…”, then the market window will go to a greyish screen for a second before returning to normal, and the download status remains the same. Any ideas on what I may have did wrong? Could it be the fact that I already signed into my Google account? Anyone who may know, please respond ASAP. Thanks. Did another factory reset, this time making sure I don’t set up my Google account on anything else before installing the .APKs, and I still have the same issue.